Oklahoma Connection | Paul was born in Pauls Valley, Oklahoma. As president of the American Bar Association in 2000, Bill Paul presided alongside Queen Elizabeth II and Prime Minister Tony Blair at the re-dedication of the Magna Carta, unveiling a historic monument bearing an inscription that he authored. 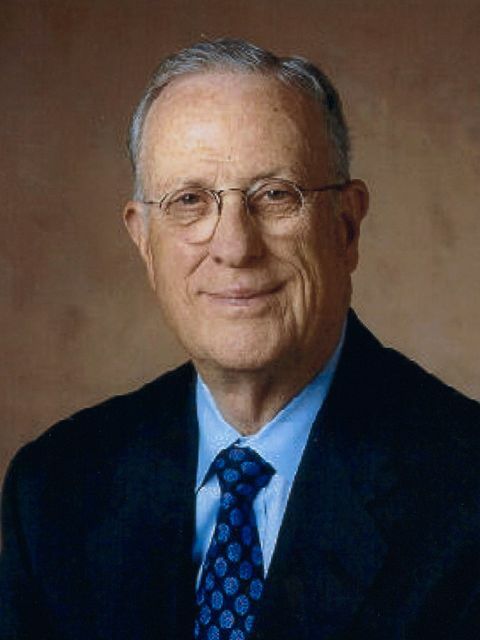 An internationally recognized leader in the legal profession, Oklahoma native William G. “Bill” or “Willie” Paul graduated from Pauls Valley High School (1948) and the University of Oklahoma (1952). He served in the U.S. Marine Corps before graduating from OU’s College of Law (1956) and joining the firm of Crowe & Dunlevy in Oklahoma City. He was elected as a fellow of the American College of Trial Lawyers in 1978 and served as general counsel and senior vice president of Phillips Petroleum Company (1985-1995) before returning to private practice as a senior partner at Crowe & Dunlevy. Mr. Paul was elected president of the Oklahoma County Bar Association in 1971 and became president of the Oklahoma Bar Association in 1976. In 1986 he was named president of the National Conference of Bar Presidents and became president of the American Bar Association (1999-2000). In 2005 Oklahoma Governor Brad Henry named Bill Paul as one of seven members of the Oklahoma Lottery Commission. See pictures of William G. Paul and other media HERE.